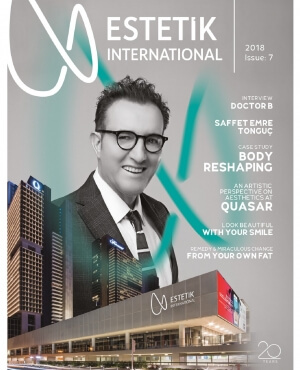 In Estetik International clinics, . we perform the Nonsurgical Treatment of Trigger Finger, which was developed by Op. Dr. Bulent Cihantimur in 1994 when he was just a medical faculty student. INonsurgical treatment of trigger finger is the most comfortable and most effective operation without incision. Trigger finger used to be very difficult to treat and caused a significantly uncomfortable recovery period for the patients. As the reason of trigger finger is not clear, different protocols are used for its diagnosis and treatment; it was treated with steroid injection treatment or trigger finger surgery. We have been performing nonsurgical trigger finger treatment in our clinics for 16 years and we aim to prevent our patients from going through all these uncomfortable processes and let them continue their lives in a comfortable way after the procedure. Trigger finger, also known as stenosing tenosynovitis, is the locked finger disease. You won’t be able to correct the locked and strained finger and restore its normal form using your other hand. You may hear clattering noise when you try to correct the twisted finger. Apparent swelling is observed in fingers that cause pain and remain stiff and twisted. One or more fingers may be affected by trigger finger. Little finger, ring finger and thumb are the most common trigger finger areas and observed more frequently in the right hand. Trigger finger disease has no explicitly recorded, distinct reason. Inflammation in the finger tendon or trauma due to swelled tendon sheath can trigger the disease. Strong tissues that attach our muscles to the bones are called tendon. Tendons extending as part of the forearm muscles also attach our fingers to the bones. In short, healthy movement of our fingers depends on the mobility of our tendons. And sheaths are elastic structures that contain tendons inside a tunnel-like structure. In normal movement, our tendons move comfortably inside the tendon sheaths, however, in trigger finger, possible swelling of the region removes the required and expected elasticity and causes the finger to stuck in a rigid, trigger-like twisted position. In which population is trigger finger most common? Trigger finger can occur in healthy people without any apparent cause. Trigger finger disease, which is especially observed in women older than 40 years of age, is observed to be common in 2 out of 100 people. It is especially common in professions that require palm work or use of machinery that require palm pressure, such as screwdriver. The inflammation caused by such use is known to cause trigger finger. In some cases, trigger finger can occur as a side effect of another disease in people with rheumatoid arthritis, amiloidosis, diabetes, carpal tunnel syndrome and dialysis patients. In addition to these, trigger finger can also occur in people who have no disease or no occupational palm deformation. One out of every five trigger finger cases tends to heal by itself without requiring a surgical intervention. Some anti-inflammatory drugs can be used to assist the recovery. Splint or steroid treatment can be applied. However, our patients tell that they had all these mentioned recovery applications but failed to have results. With nonsurgical treatment of trigger finger, we perform an operation under local anesthesia that provides highly successful results. Tendon sheath is extended through a single small incision and a thin needle. The tightly closed tunnel of the tendon sheath is attempted to be set free. Unlike surgical methods, patient’s hand does not remain bandaged and non-functional for weeks; only the micro entry site is bandaged and transition back to social life starts immediately. Trigger finger is a hand disease that causes the extended finger to be locked or pulled back as if pulling a trigger when the movement of the tendon opening and closing the finger is restricted. Your finger or thumb gets stuck in a twisted position and becomes straight again in an instant like pulling and releasing the trigger. If you have advanced stage trigger finger, your finger may stuck in a twisted position. What are the causes of trigger finger? Why it happens? Tendons that control the movement of fingers pass through a thin tissue tunnel. Narrowing of this tunnel causes trigger finger. Tendon may get damaged since it slides in a narrow tunnel. As the tendon gets even more damaged, tunnel gets thicker and movement becomes more difficult; and this leads to snap like a trigger. I have a trigger finger, why do I have pain? At this point, a patients may feel a painful sensation while moving their finger. Who are more prone to trigger finger? People whose jobs or hobbies require repetitive grasping actions are more prone. And trigger finger is more common in women than men. It is also more common in people with certain medical conditions such as diabetes and rheumatoid arthritis. Most of the time symptom onset of trigger finger is painless. Patients may feel a little bump, there may be palm pain and slight numbness. Or even swelling may be noticed.